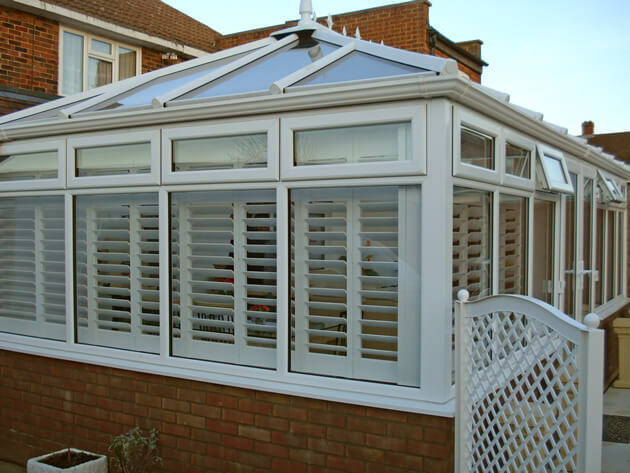 As the weather starts improving in England we often find many customers asking for us to fit our shutters to their conservatories. 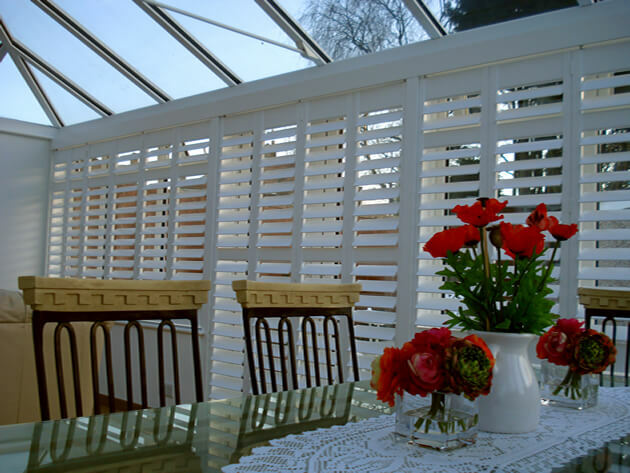 Our shutters can be bespoke made and installed to all types of conservatories covering all areas including the glass pains and doors. 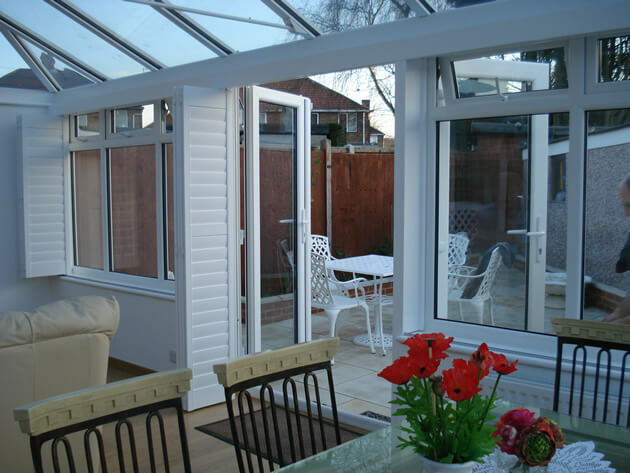 This client was looking to have shutters fitted not only for great light and air flow in the summer months, but for privacy as they have houses which look onto the back garden area of the property. 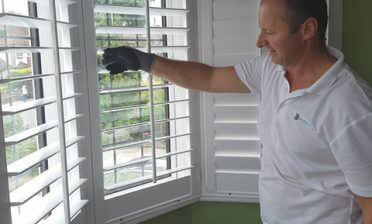 The shutters can be fully opened, closed or adjusted anywhere in between which makes them the perfect solution for the job! 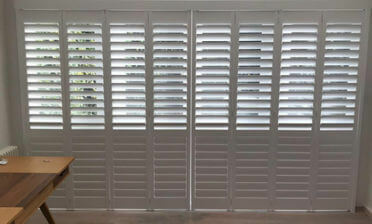 These shutters were created using MDF material to make full height shutters with mid rail and a bi folding track system. 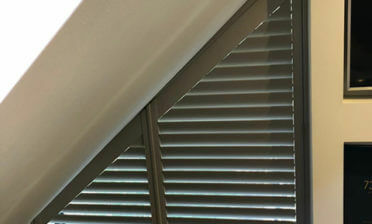 The louvres are 89mm with silent tilt rod system so that they can be adjusted without the need for a visible tilt rod. 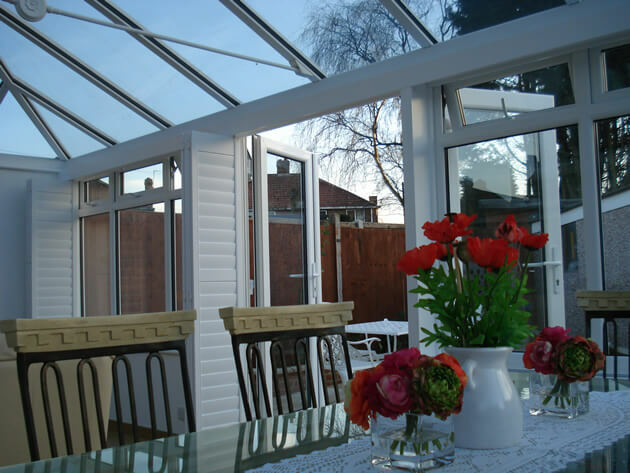 They were then finished in Pure White with matching White hinges.